The base color of this stone, a silvery grey. It's distinctive flash of iridescent color is known as 'labradorescence' and shows off a bright blue as light reflects off it's surface. 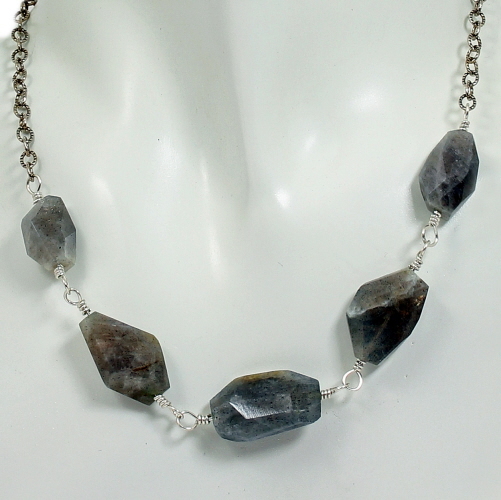 Chunky beads of labradorite, of varying size and shape, are paired here with a oxidized sterling silver chain. Necklace is adjustable in length, up to 19½ inches and weighs 1.1 oz. 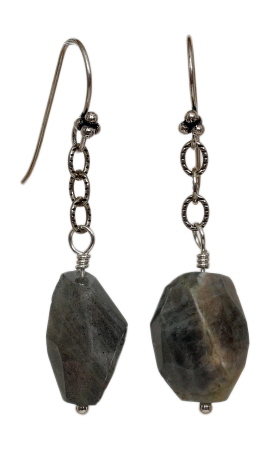 A dangle of labradorite hangs down the back. 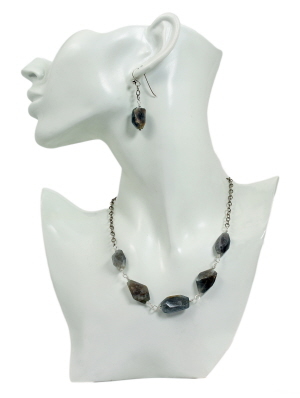 Earrings measure 2 inches from top of earwire to bottom of dangle and weigh less than 0.1 oz each.